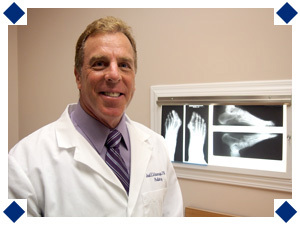 Dr. Schancupp is Board Certified in foot and ankle surgery. He received his Doctor of Podiatric Medicine degree from the New York College of Podiatric Medicine. He completed his post doctoral residency in reconstructive foot and ankle surgery at Kern Hospital for Special Surgery in Warren, Michigan which has produced many of the national leaders in foot and ankle surgery. Dr. Schancupp received his BA in biology from the State University of New York at Buffalo. He is a member of the American Board of Foot and Ankle Surgery, American Podiatric Medical Association, and the Georgia Podiatric Medical Association. He serves on the Board of Directors of the Georgia Podiatric Medical Association which is the state association for Georgia podiatrists. Dr. Schancupp is on staff at North Fulton Hospital, Northside Hospital, Northside Hospital Forsyth, and various outpatient surgery centers. He is actively involved in training residents in foot and ankle surgery. Dr. Schancupp resides in Marietta with his wife Judy. They have 3 daughters. Dr. Schancupp is an avid tennis player and is a two time National USTA champion in recreational tennis. Dr. Schancupp continues to advance his professional skills and services though continuing education seminars and is always seeking new methods and procedures to promote good foot and ankle health for his patients.